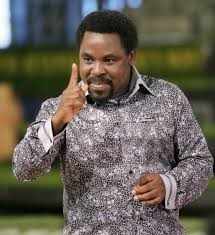 Between lies & Truth; TB Joshua Vs Premium Times! When the news broke of a leak in the accounts of world personalities who own and operates offshore companies in countries tagged tax havens. My curiosity grew the more to identify those individuals; not that I can stop them from running their companies wherever they feel safe, but to add a face to faceless corporations. Rightly or wrongly, offshore companies are used for genuine global transactions and also for funding terrorism and illegal wealth stolen from government treasuries around the world. When the name of world renown Prophet, TB Joshua of the Synagogue Church of All Nations (SCOAN), Nigeria, was prominently highlighted by Premium Times – an online newspaper, my interest took a different turn. What almost made me wave aside the newspaper report was the name of the reporter, Nicholas Ibekwe, the same fellow who shortly after the SCOAN building collapse accused the revered Prophet of doling out cash to suppress news reports. When all who have interacted with TB Joshua know him for generosity with no strings attached.